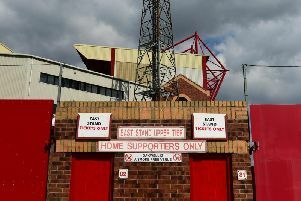 Fleetwood Town have one of the best records in League One for clean sheets but keeper Alex Cairns will not be satisfied until they are top of the pile. Cairns and company have kept 14 clean sheets, a total bettered only by Barnsley (20), Luton Town (19) and Blackpool (16). Cairns has been an ever- present in the league under Joey Barton, having been given the number one shirt at the start of the season. The shot-stopper has conceded just 41 goals in Town’s 38 games and is targeting more clean sheets in the remaining eight matches, starting with Saturday’s trip to Accrington Stanley. Asked if he is happy with fourth place in the clean sheet charts, Cairns answered: “I’d like to be top to be brutally honest! “It is not just me – it is down to the lads in front of me. The clean sheets we have kept have been thoroughly deserved. We have shown as a team that we have a very good defensive unit. “We have lads up top who can score goals and at the other end everyone works their hardest to stop goals. Cairns was pleased to see Town bounce back from back-to-back defeats at Walsall and Coventry by beating Plymouth 2-0 10 days ago. Cairns, who conceded a fluke opener at Coventry as his clearance rebounded in off Amadou Bakayoko, now aims to cut the six-point gap between Town in 11th place and Peterborough United in the last play-off spot. The 26-year-old said: “You play that (Bakayoko goal) over 100 times and you’d be surprised if it went in once. “I’ve shown him wide of goal and he has come running in. “But I’ve tried to clear my lines and unluckily for us it has gone in.